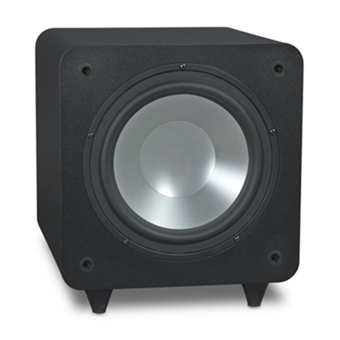 The EMP E10s powered subwoofer has its own source of amplification (as opposed to passive, non-amplified subwoofers which require an additional power amplifier). 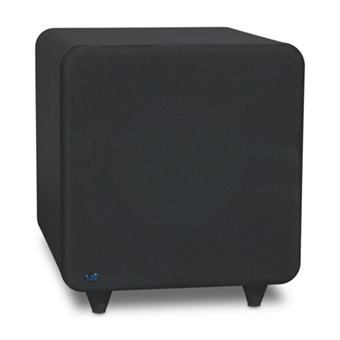 This subwoofer can add considerable low-frequency, deep bass performance to your home theater or audio system. 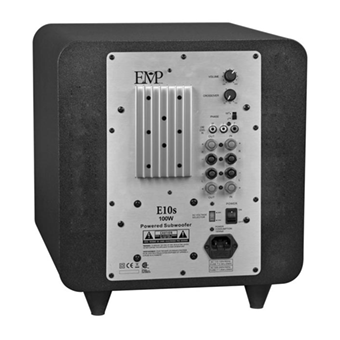 The E10s powered subwoofer incorporates a discrete class A/B analog power supply amplifier ensuring low distortion, high current output and proven reliability. A powerful magnet, enhanced suspension and heavy duty voice coil give the driver elevated performance allowing high output capability and accurate dynamic reproduction. Variable crossover, adjustable phase control and auto on/off are also used for convenience and easy integration with other speakers. Audio can be supplied to the subwoofer by either interconnect (processor/line level) or speaker wire (high level). 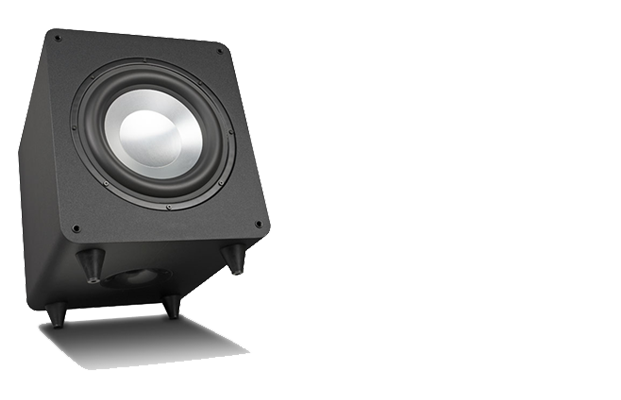 The 10-inch aluminum woofer creates ground moving low ends. The driver material produces enhanced bass definition and accuracy. A built in limiter protects the E10s from being over driven and bottoming out. The E10s has a crossover bypass feature, which allows you to use either the crossover in your receiver or the crossover in the subwoofer. The cabinet is enhanced with rounded corners and smooth pebble black finish.